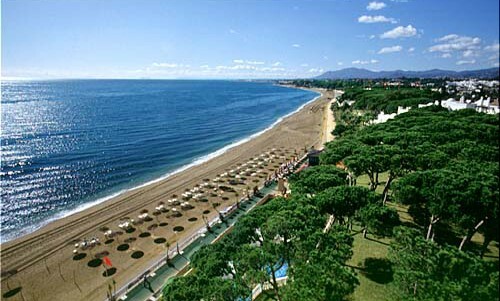 Marbella is one of the most luxurious resorts in Spain where all Spanish elite prefer to spend their vacations. Don’t lose your chance to see the ninth-century Arab fortress, whitewashed buildings, the famous La Fontanilla beach and fragrant orange trees! Rent car Marbella to experience splendor and measured pace of this city! RentalCars24h.com provides you with the reliable car rental Marbella opportunities. You will save your money with RentalCars24h.com because our car hire Marbella services offer you only the best prices so you can immediately get the car you want with the help of online car rental Marbella. Marbella car hire offers you all kinds of cars: economy cars, standard cars, compact ones, minivans and many others. Rent a car Marbella and enjoy the rich history and architecture of the city, variety of museums and restaurants with delicious national cuisine! Marbella with its clean beaches, bright sun and gentle sand will make you forget about the time. And Marbella car rental services provided by RentalCars24h.com will make your visit to this city your most comfortable and pleasant vacation ever! 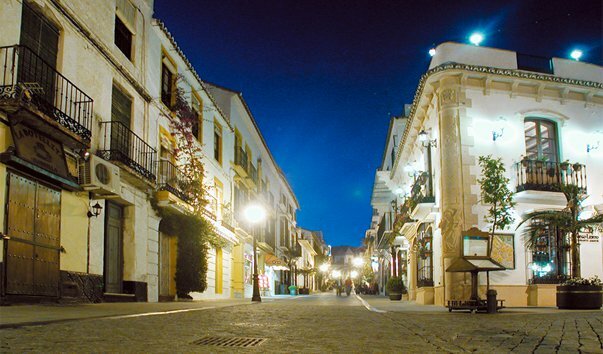 The legacy of Marbella’s provincial past is the "Old Town" - charming historical center around which the modern city resort has grown. There you will make a nice stray through the narrow streets leading to the small area - plazas. 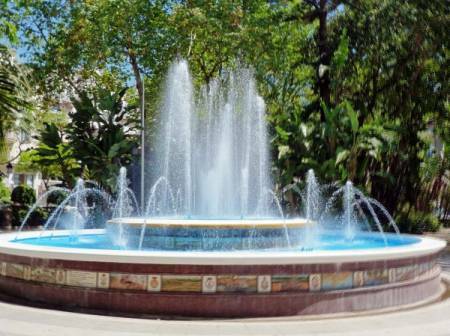 The most beautiful of them is Plaza de los Naranjos or «Orange Square" with a fountain of XVII century and citrus trees. 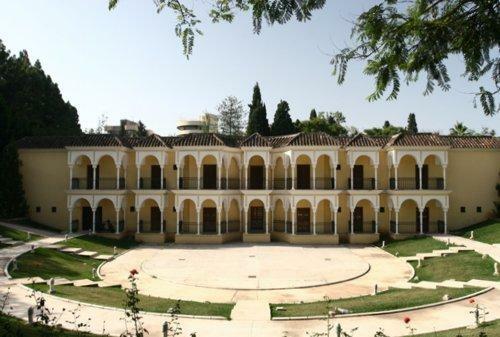 This is a typical and very beautiful Andalusian square which is fully planted with orange trees and tropical plants. This is a must see attraction in Marbella. To the south of the Old Town on the other side of the main street a park overgrown with huge tropical plants is located. It's called La Alameda and is very popular among the residents of Marbella and tourists as a beautiful and peaceful place to relax. In the middle of the park there’s a large fountain decorated with traditional Andalusian tiles. On the right of the park is a small street which is the main taxi rank and here you can rent a carriage pulled by a horse to ride around the city. Park of the Constitution is a true oasis of peace and tranquility in this bustling modern city of Marbella. 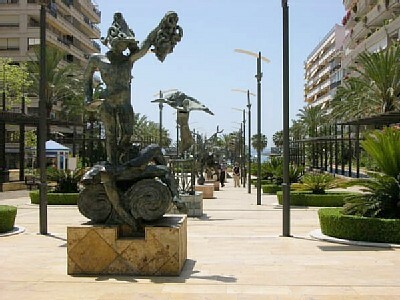 It is located just above the beach close to the city center. Among the mighty old trees and colorful flower beds there is a playground, an astronomical observatory, cafes and many benches for rest. Inside the park which was formerly a part of a large private garden there is an open-air theater with 600 seats, which hosts theater performances, music concerts, opera and other cultural events throughout the year. If you are going to Marbella in July and want to know the city and its people then the easiest way to do it is to visit the fair! Fairs are traditional in Andalusia. 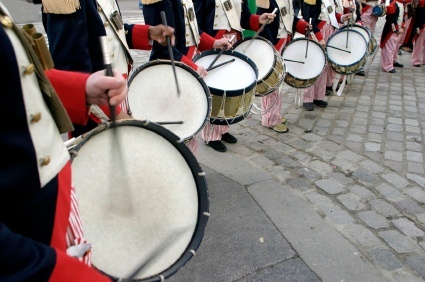 Every town and village in the region organizes its local fair. This tradition goes back to the Middle Ages when villagers came together to share their home-made products and fruit from their land. Nowadays there is nothing more congenial to Andalusia than a fair. RentalCars24h.com offers you reliable car rental Marbella services that will help you to feel free and independent when moving around the town. Providing best online prices for car hire Marbella services, RentalCars24h.com allows you to save money each time when you rent a car in Marbella.